The RING-variant domain is a C4HC3 zinc-finger like motif found in a number of cellular and viral proteins. Some of these proteins have been shown both in vivo and in vitro to have ubiquitin E3 ligase activity. The RING finger is a well characterised zinc finger which coordinates two zinc atoms in a cross-braced manner. According to the pattern of cysteines and histidines three different subfamilies of RING finger can be defined. The classical RING finger (RING-HC) has a histidine at the fourth coordinating position and a cysteine at the fifth. In the RING-H2 variant, both the fourth and fifth positions are occupied by histidines. The RING-CH, which is very similar to the classical RING finger, differs from both of these variants in that it has a cys residue in the fourth position and a His in the fifth. Another difference between the RING-CH and the common RING variants is a somewhat longer peptide segment between the fourth and fifth zinc-coordinating residues. The RING-CH zinc finger has thus the same arrangement of cysteine and histidine (C4HC3) as the PHD zinc finger but it contains features (spacing between the cysteines and the histidine) characteristic of the genuine RING-finger (C3HC4) [(PUBMED:11641273), (PUBMED:12695663)]. 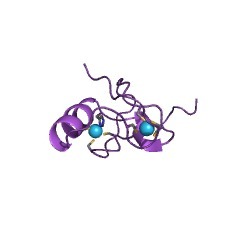 The RING-CH-type is an E3 ligase mainly found in proteins associated to membranes [(PUBMED:16873052), (PUBMED:17051211)]. Yeast Doa10/SSM4 (P40318). An E3 ligase essential for the endoplasmic reticulum associated degradation (ERAD), an ubiquitin-proteasome system responsible for the degradation of membrane and lumenal proteins of the endoplasmic reticulum. Mammalian membrane-associated RING-CH 1 to 9 (MARCH1 to 9) proteins. Human herpesvirus 8 (HHV-8) (Kaposi's sarcoma-associated herpesvirus) modulator of immune recognition 1 (P90495). An E3 ubiquitin-protein ligase which promotes ubiquitination and subsequent degradation of host MHC-I and CD1D molecules, presumably to prevent lysis of infected cells by cytotoxic T-lymphocytes. There are 12153 RINGv domains in 12134 proteins in SMART's nrdb database. Taxonomic distribution of proteins containing RINGv domain. This tree includes only several representative species. The complete taxonomic breakdown of all proteins with RINGv domain is also avaliable. Click on the protein counts, or double click on taxonomic names to display all proteins containing RINGv domain in the selected taxonomic class. Ubiquitylation of MHC class I by the K3 viral protein signals internalization and TSG101-dependent degradation. The Kaposi's sarcoma-associated herpes virus gene product K3 (KK3) subverts the MHC class I antigen presentation pathway by downregulating MHC class I from the plasma membrane. We now show that KK3 associates with MHC class I molecules and promotes ubiquitylation of class I after export from the endoplasmic reticulum. Ubiquitylation requires the KK3 N-terminal plant homeodomain and provides the signal for class I internalization at the plasma membrane. Once internalized, ubiquitylated MHC class I is targeted to the late endocytic pathway, where it is degraded. Depletion by small interfering RNA of TSG101, a ubiquitin enzyme 2 variant protein involved in late endosomal sorting, prevents class I degradation and preserves cell surface class I expression in KK3-expressing cells. These results suggest a mechanism by which the KK3-induced class I ubiquitylation provides a signal for both internalization and sorting to the late endosomal pathway for degradation. KK3 is the first viral gene product that subverts the trafficking of a host protein via the ubiquitin-dependent endosomal sorting machinery. 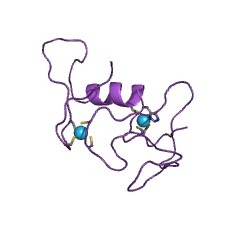 MHC class I ubiquitination by a viral PHD/LAP finger protein. The murine gamma-herpesvirus-68 K3 (MK3) is a PHD/LAP finger protein that downregulates major histocompatibility complex (MHC) class I expression. 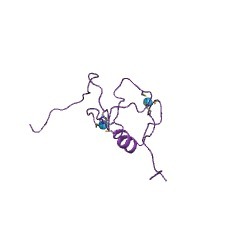 In transfected cell lines, MK3 was expressed in the endoplasmic reticulum (ER) membrane, where it bound the cytoplasmic tail of newly synthesized H-2D(b) glycoproteins and targeted them for degradation. Proteasome inhibitors blocked the degradation and led to an accumulation of ubiquitinated H-2D(b). Because this retained its native conformation, ubiquitination preceded any denaturation or dislocation to the cytosol. The PHD/LAP finger of MK3 was not required for H-2D(b) binding but was essential for its ubiquitination and degradation. Thus, gamma-herpesviruses have adapted the cellular PHD/LAP motif to immune evasion, apparently for the catalysis of MHC class I ubiquitination. A novel class of herpesvirus-encoded membrane-bound E3 ubiquitin ligases regulates endocytosis of proteins involved in immune recognition. Kaposi's sarcoma-associated herpesvirus encodes two transmembrane proteins (modulator of immune recognition [MIR]1 and MIR2) that downregulate cell surface molecules (MHC-I, B7.2, and ICAM-1) involved in the immune recognition of infected cells. This downregulation results from enhanced endocytosis and subsequent endolysosomal degradation of the target proteins. Here, we show that expression of MIR1 and MIR2 leads to ubiquitination of the cytosolic tail of their target proteins and that ubiquitination is essential for their removal from the cell surface. MIR1 and MIR2 both contain cytosolic zinc fingers of the PHD subfamily, and these structures are required for this activity. In vitro, addition of a MIR2-glutathione S-transferase (GST) fusion protein to purified E1 and E2 enzymes leads to transfer of ubiquitin (Ub) to GST-containing targets in an ATP- and E2-dependent fashion; this reaction is abolished by mutation of the Zn-coordinating residues of the PHD domain. Thus, MIR2 defines a novel class of membrane-bound E3 Ub ligases that modulates the trafficking of host cell membrane proteins. This information is based on mapping of SMART genomic protein database to KEGG orthologous groups. Percentage points are related to the number of proteins with RINGv domain which could be assigned to a KEGG orthologous group, and not all proteins containing RINGv domain. Please note that proteins can be included in multiple pathways, ie. the numbers above will not always add up to 100%.